My name is Steve Hughes, I am a 60 year old disabled veteran. I served 28 years in the USAF, and prior to my retirement, I had a "surgery gone bad" that has resulted in me losing the use of my lower left leg, and now I have to wear a brace to walk. I have always been an avid cyclist, and now cycling is the only way I can still experience "freedom" from my personal setback. When I ride I can take my brace off, clip into my pedals and ride! From 18 September 2018 to 20 November 2018, I will be riding my bicycle across country from San Diego, CA. to St. Augustine, FL. I am riding for several reasons. First, I am riding for anyone who is facing obstacles in their lives. I am hoping to inspire and encourage. This doesn't mean people need to get up and ride across country, but maybe it is just getting out of bed, taking a step, walking across the room, facing a challenge! Second, I want to be able to meet and interview others on my journey who have worked to overcome setbacks of their own as another means of inspiring others. This will be called "Ordinary People, Extraordinary Grit." 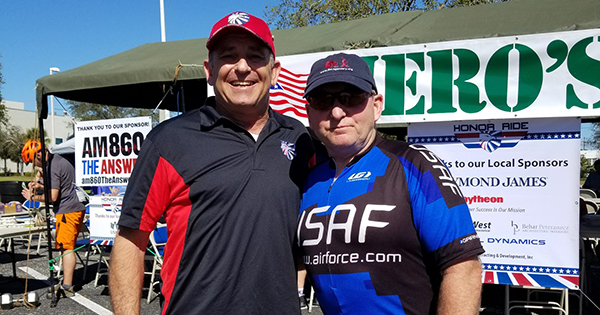 Finally, I am riding for three amazing veteran charities; The Travis Mills Foundation, The Air Force Enlisted Village, and Project Hero. Travis Mills is one of five quadruple amputees from Afghanistan/Iraq wars that survived; www.travismills.org/foundation/. 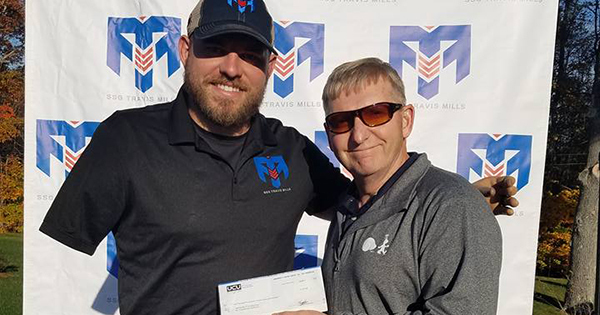 To carry on his passion, Travis Mills founded the Travis Mills Foundation, a nonprofit organization, formed to benefit and assist wounded and injured veterans and their families. Travis continues to inspire wounded servicemen, women and their families by showing them they can overcome their physical obstacles and emotional challenges and find purpose by staying the course through their recovery and beyond. The Air Force Enlisted Village, www.afev.us, is located in Shalimar Florida and is a residence for the spouses of enlisted men and women of all branches of the service (priority to Air Force). 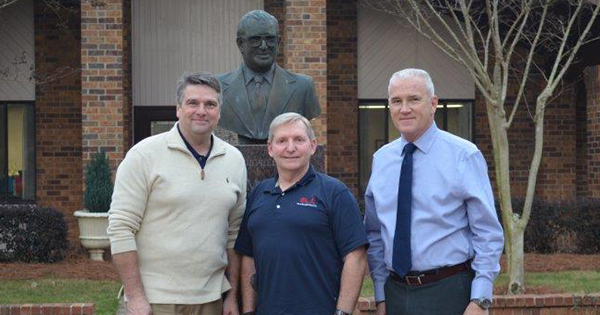 They also have an amazing assisted living facility for veterans, and Steve loves what they do not only for veterans and their families, but for the entire community. Project Hero, www.ProjectHero.org, through building and donating adaptive bikes and producing cycling events throughout the nation to supporting community-based rehabilitation and recovery programs and important medical and clinical research, Project Hero is raising awareness of the National PTSD mental health crisis and making a difference in the lives of thousands of Veterans and First Responders, as well as their families and communities. Through your support, we can not only raise money for all three of these organizations, but also help raise vital awareness for their amazing services!